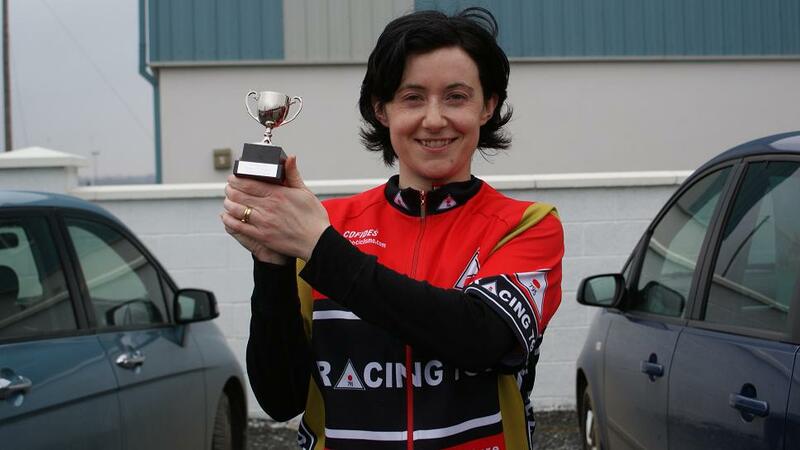 Congratulations to Siobhan Mimnagh, our first ever Time Trial League Champion. Siobhan had a healthy points lead going into today’s final round having improved consistently throughout the series. However, it wasn’t all plain sailing on the day as mechanical difficulties threatened to scupper Siobhan’s ambitions. However, our champion rose to the challenge and did just enough to get home and finish the series ahead of the chasing pack. The winner on the the day was Paul Hutton, coming out on top with best gross and handicap times. Overall the series has been a great success, providing a focal point for members over the winter months, both socially and competitively. Credit is due to all who took part and did timing and marshalling. Special thanks on everyone’s behalf to David Furlong who came up with the idea and made it happen.